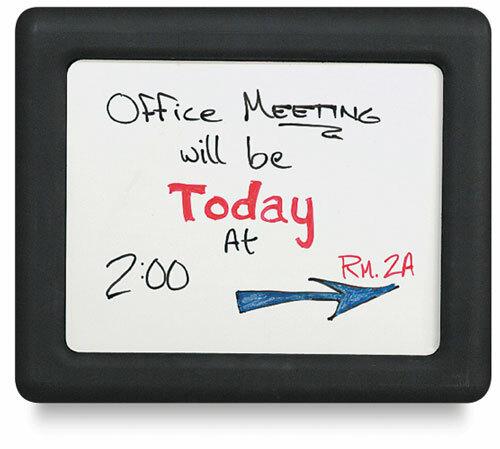 This double-sided tubular plastic pedestal sign has a letter board on one side and a white dry erase board on the other. It includes a 3/4" Helvetica letter and number set. The viewing area is 14" x 11" with a 15" diameter base. ® Velcro is a registered trademark.